Revolution Greens: Obesity On Track To Be Top Cancer Cause! Alright people listen up and please spread the word. It seems that on every corner around the globe fast food restaurants are popping up and open for business. Its no coincidence that in the western world obesity is on track to overtake smoking as one of the leading causes of cancer. 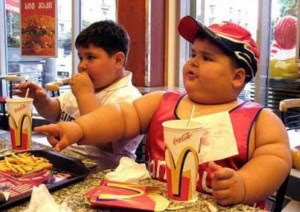 The Associated Press is reporting that ,"Being overweight or obese accounts for up to 8 percent of cancers in Europe. Experts said that figure is poised to increase substantially as the obesity epidemic continues. In the U.S., studies have found obesity was responsible for up to 20 percent of cancers." 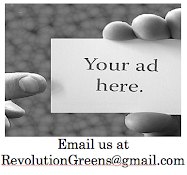 Look, being a supporter of Revolution Greens we know you care about your body and the environment. We are not asking you to run around town and begin yelling at our friends for picking up some craptacular food at a drive through window. We just want you to be the change you are looking for. Eat as healthy as you can and take care of yourself. You will live with so much more energy and positivity that your friends will want to know, "how do you do it?" You will tell them the basics, I stay away from fast food and food products whose ingredient labels I cant pronounce. Do that and you have done your part. Be a part of the revolution!